Don’t even read this blog post. Just google puppies. You’ll be glad you did. Lately I’ve been having a lot of killer ideas involving puppies. Those furry wee machines are just on my mind all the time and I decided some of these eureka moments were just too good to keep to myself, so I’m going to grace the interspheres with them. If you have any good ideas for puppies you should share them with the world too, maybe on Twitter. Have you heard of it? It’s a micro-blogging platform…oh never mind. 1. A medical television show that has puppies instead doctors, nurses, and technicians: It would be so cute if someone came in, literally spineless from an almost deadly car accident and the puppies had to perform surgery, their tiny paws holding scalpels and administering anesthesia. The highlight of the show will be when one of the puppies yawns and magically cures the patient because of overwhelming cuteness. 2. Puppy petting stations, featuring a baby: I don’t know if puppy petting stations are a thing, but Courtney Cox had one at a birthday party (according to a reliable source), and there was one used at my alma mater during finals to relieve stress. Obviously the puppy petting station idea is great, but what if there were a baby too? People love seeing the baby size of things play with one another, so it would be dangerously cute if there were an infant in there, wearing a hat or a bow or a rubber chicken, nuzzling itself (sorry for the neuter pronoun) against the soft puppy fur. And then the young ones will get tired and the guests of the party would gather ’round to watch the baby and puppy nap session. Precious! 3. Presidential debates with puppies: I think this idea pretty much speaks for itself. If there were some golden retriever pups on stage, or Obama and Romney were both petting one, then I think people might actually tune in and this country would realize the change that we’ve all chanted about or against. Of course, Romney would have to learn how to simulate pet empathy. I believe there’s a program he could get installed for that though. 4. Cooking show featuring puppies: the puppies wouldn’t actually make any food, they would just be playing with each other while someone made cookies in the background. There would be a final screenshot of a timid puppy gingerly biting a chocolate chip cookie and then the recipe would flash on screen. Ratings out the roof. This would also be great for when smell-o-vision finally comes into existence, minus the dog-urine. Puppies and chocolate chip cookies: is there anything better or more generic? 5. Economics courses featuring live puppies as the go-to example for everything: the professor would introduce the puppies, saying that Porkchop is better at fetching sticks, while Crumpet is better at digging holes. In the most efficient economic system, Porkchop would just fetch sticks and Crumpet would just dig holes. Then there would be a demonstration, clapping, laughter, and happiness. I believe the solution to many of our world’s problems is to get the puppies involved. They already exist, so let’s put their cuteness to work. Thanks for the rec. I’m taking a look as we speak. Just looked, and it’s hilarious. Hey, I have a image of artwork that features the most adorable puppy you have ever seen. Send me your email address and I will attach. You have my permission to use it in your puppy post. The title of the peice is Puppy in Hand. This is SOOOOOOOOOO funny as always! Perhaps a remake of Lassie with all actors being puppies except for Lassie herself who will be played by human actor Leonard Nimoy wearing clip on puppy ears. His is the most qualified I feel to pull off the “these are not my real ears” role. I love it. This is art. Deal with it, people. Let’s just elect a puppy to be president. Both liberals and conservatives like puppies: liberals were upset that Romney drove a dog on the car roof, and conservatives were mad that Obama ate dog meat. 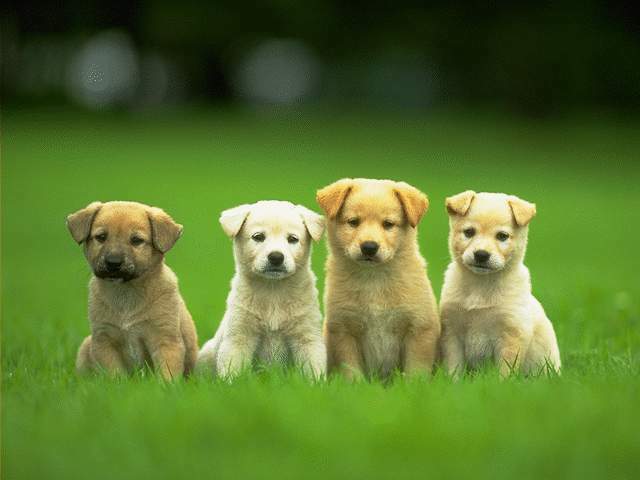 So I think both parties could agree on a puppy as a unifying leader. Though not just any puppy would do – it will probably have to be a white puppy. We might have to get a team of puppies in there, since they would become dogs before the term ran out. Is that political commentary or just biology? You tell me. Both, i think. Another problem with a puppy president is whether we would measure their term in years or dog years, so it maybe be better to keep puppies out of politics. I would like a classic TV shows re-enacted by puppies, with the original dialogue dubbed over. I love lucy has never been so popular. What politician would vote against your bill?! There was a TV sitcom promo the other night, and if I am not mistaken, it involves a monkey surgeon. I was wondering if they started with pups, but test audiences made them rewrite to monkeys…. People do love monkeys, but at least dogs don’t throw their poo everywhere. I like item two. There are days the unconditional love of a puppy is all I need to keep sane. As for a cooking show with puppies, great idea but no chocolate chip cookies for the pup. It’s real bad for them. I.d love to own a puppy but Fate has destined me to be a cat person. Cat people have their places. I try to love cats too but as of now I’m biased towards dogs. Experience, however, may change me. I completely agree with you. The world would be a much better place if we included puppies. In everything. Thanks for the fun post. And the adorable picture. And thank you for reading. May the puppies be with you. Oh man, I’m gonna have the puppy theme song stuck in my head for days now. Thanks for getting out this AWFUL preschool song about ducks and butts. Seriously: thank you. I can’t believe I just got this quality analysis for free. It must be a trap.